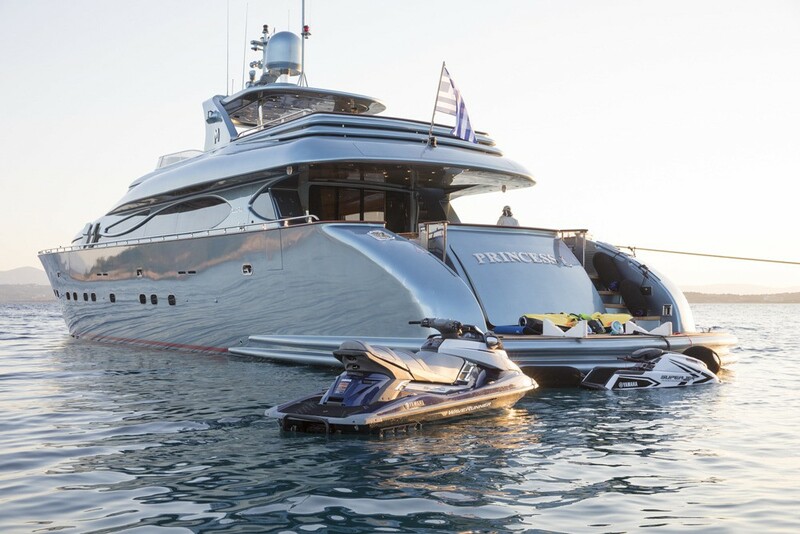 PRINCESS L is a luxury charter yacht available for cruising around the beautiful Greek Islands in the Eastern Mediterranean. 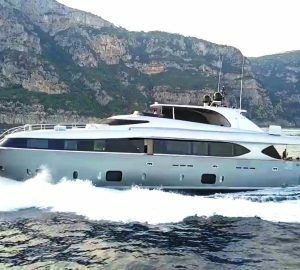 Measuring 33.01m (108’4’’), she was built by the Italian shipyard Maiora in 2006 and refitted in 2018, offering modern amenities, design and excellent service on board. With accommodation for up to 12 charter guests in five cabins, she is an ideal choice for family vacations or getaways with friends. Luxury accommodation is provided for up to 12 charter guests in one master suite on the lower deck, one VIP suite on the lower deck, one VIP stateroom on the upper deck as well as two twin staterooms on the lower deck. Tenders & Toys: 2 x Jet Skis Yamaha ( 1 FX CRUISER SVHO / 1 SUPER JET), 1 x Tender ZAR ZF3 70Hp(L) 7 persons, 2 x Sea Bobs F5S, 2 x Canoe Exo Bays 1, 1 x Banana for three-seater, 1 x SUP Paddleboard, 1 x Jetsurf , Water Ski equipment, Fishing and Snorkeling Equipment, Audio Visual Equipment and Deck Facilities: Air Conditioning, WiFi connection on board, Jacuzzi in the master cabin, TVs in all cabins with multimedia entertainments.